Last week, news and rumors for the Samsung Galaxy Note 9 moved up a notch. While it’s nearly confirmed that Seoul will once again upgrade the device iteratively, we did see some new information come to light. 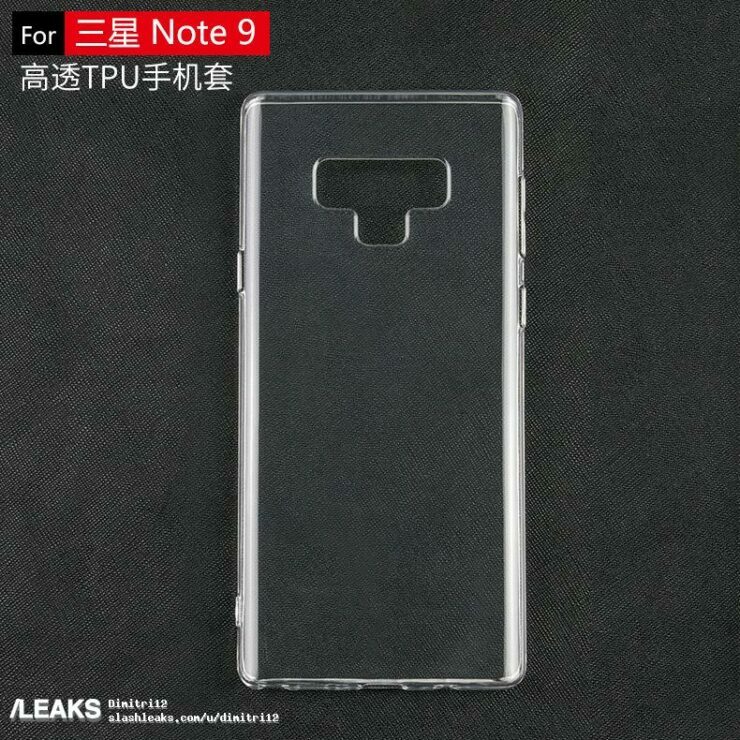 Leaked renders for the Samsung Galaxy Note 9 displayed a relocated rear fingerprint sensor on the device. It’s a feature that has caused Samsung some trouble in the past and looks like the company might be heading down uncertain waters once again. 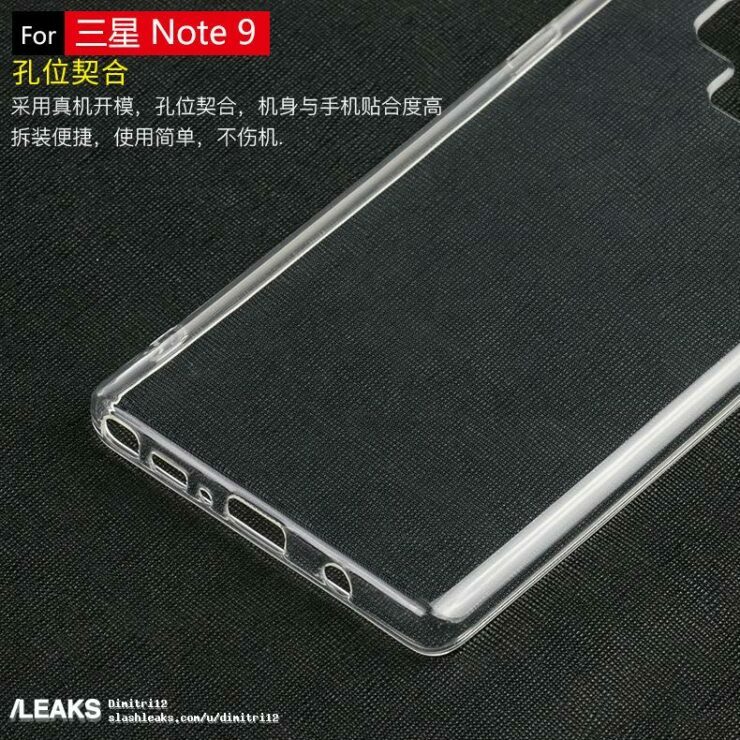 Today, we’ve got a case image and some renders for the Samsung Galaxy Note 9. Take a look below for more details. Samsung relocated the rear fingerprint sensor on this year’s Galaxy S9 and Galaxy S9+. The company’s decision to introduce edge-to-edge OLED displays with the Galaxy S8 lineup left it with a small problem. Samsung was forced to move the pair’s fingerprint sensor to the back and the company made a poor choice of location. By placing the sensor on the left of the rear camera, Samsung made it difficult for users to avoid smudging the latter. 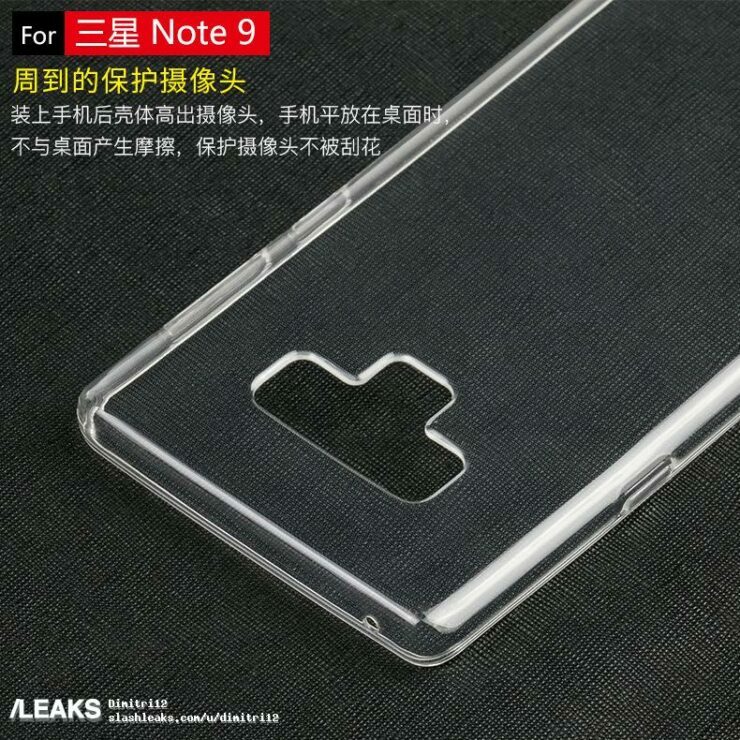 The company rectified the problem with its Galaxy S9/S9+ and now, it will make a similar change to the Galaxy Note 9. 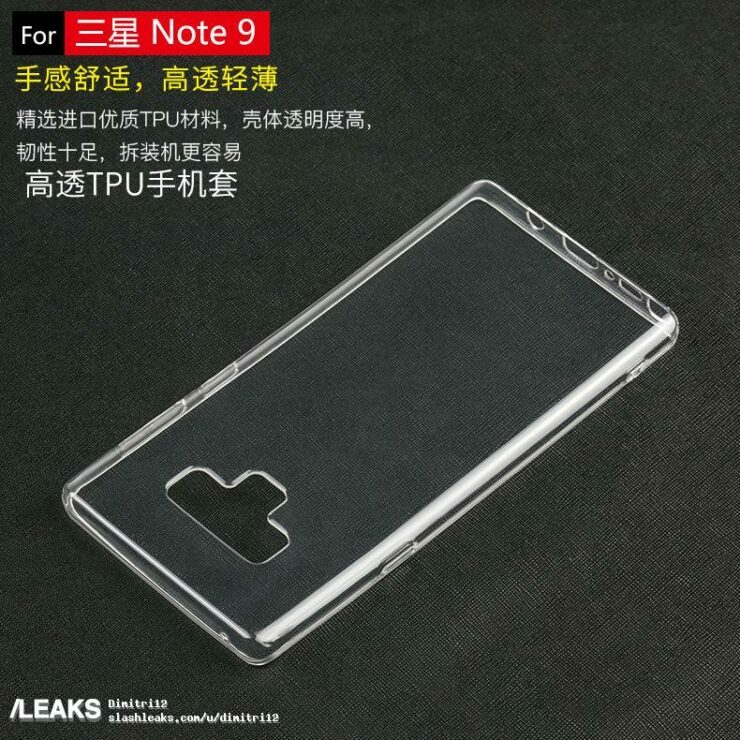 Of course, the changed position for Note 9’s fingerprint sensor will turn out surprising as we’ve seen relatively fewer complaints about the device when compared to the Galaxy S8/S8+. 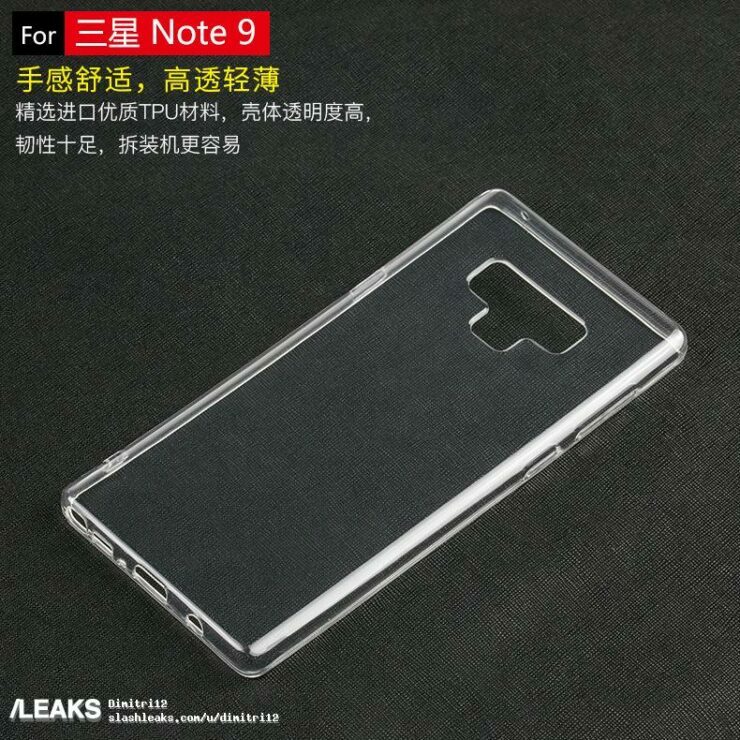 As you can see above, the Samsung Galaxy Note 9‘s fingerprint sensor will be placed under the rear dual camera setup. Given the aforementioned lack of complaints against its prior position, it’s also likely that an internal hardware change forced Samsung hand this year. After all, the company will introduce the S9 lineup’s variable aperture rear camera sensors on the Note 9 as it rarely chooses a wide performance differential between the two lineups. Another change that you’ll notice is that there is an extra button cutout present at the bottom left of the cases. This is a curious addition and might be for the camera or Bixby 2.0. Or maybe Samsung will give users the option to eject the S-Pen with the help of a button this year, which is quite unlikely. Thoughts? Let us know what you think in the comments section below and stay tuned. We’ll keep you updated on the latest.